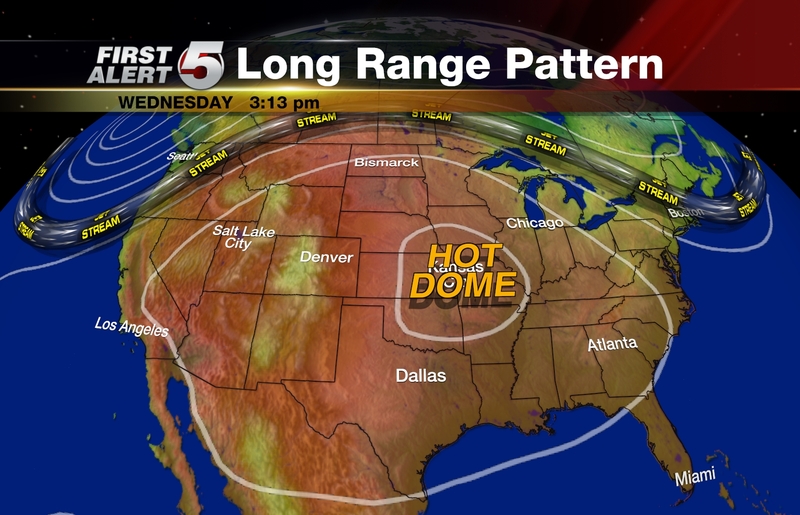 The big weather story this week is a late season heat wave taking aim on the central United States. Record high temperatures could fall anywhere from Colorado to Indiana. An upper-level high pressure dome will setup shop over the middle U.S. early this week. High pressure aloft allows for air to sink and compress. When air compresses, it increases in temperature. Temperatures will reach the century mark. Temperatures in southern and southeastern Colorado will top out in the upper 80°s to lower 100°s through Friday. Computer models suggest that the heat should begin to ease for the central Plains around September 1 and models suggest the heat could continue through at least Labor Day Weekend for the Midwest. 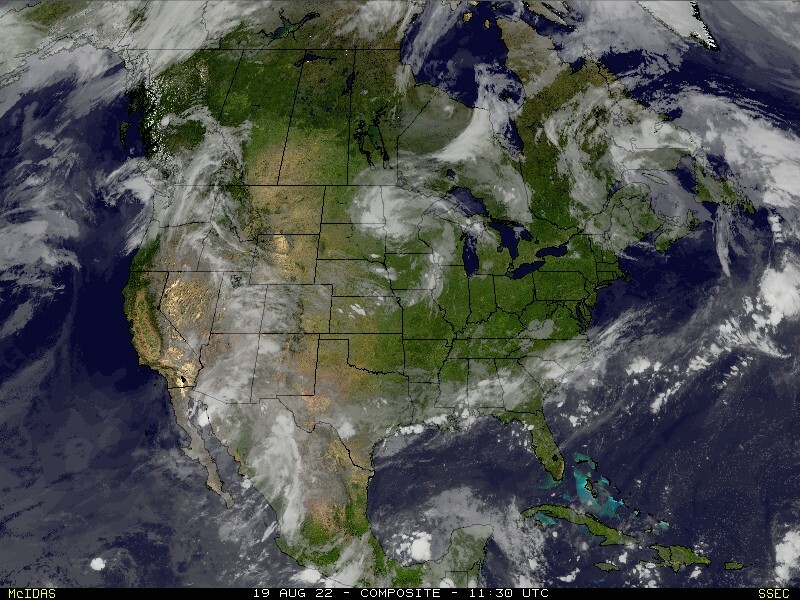 The upper-level high will initially push monsoon moisture west in to western Arizona and Utah and take it away from southern/southeastern Colorado. Later in the week moisture will begin to come back to Colorado. The moisture will allow for a chance for isolated showers and thunderstorms over the mountains west of I-25 starting Wednesday. As for Monday, expect to see mostly sunny to partly cloudy skies across the KOAA viewing area. Highs will top out in the upper 80°s to upper 90°s. Colorado Springs should top out at 88° and Pueblo should see a high temperature of 95°.